In 2009, the owners of Coco Loco founded the non-profit organization Waves of Hope with the vision of helping to develop well educated, healthy and prosperous communities. Over the past 9 years, Waves of Hope has invested over $400,000 into projects and initiatives focused on education, infrastructure, health care and the environment. By choosing Coco Loco you are making a conscious choice to come and support these efforts. Coco Loco and Waves of Hope are two separate entities, but locally in our small community most people consider them to be ONE and the same. While Waves of Hope supports community projects and initiatives, Coco Loco is the principle driver behind the economic development that our community has experienced since our opening. When we first arrived in El Manzano #1 in 2009, we promised our community we would do our best to provide them with jobs so they could in turn provide for their families. We took this commitment to heart and today we are very proud to be able to provide full time employment to over 25 of our neighbours and to support an additional 15+ local community members through contract work. In turn, Waves of Hope utilizes the tourism brought in through Coco Loco as its primary fundraising tool. Each week, our guests have the opportunity to learn about the current projects and undertakings of Waves of Hope and are invited to get involved within the community through our various projects, kids club activities or a donation towards making a difference. We have always believed that providing jobs would have the greatest initial impact on our community. We strive to be the best employer in tourism in northern Nicaragua and we do so by hiring locally, paying fair wages, continually training & mentoring our staff and much more. In addition to our full time staff we also work exclusively with local surf coaches and guides, massage therapists, contractors, transportation services, tour guides and more. 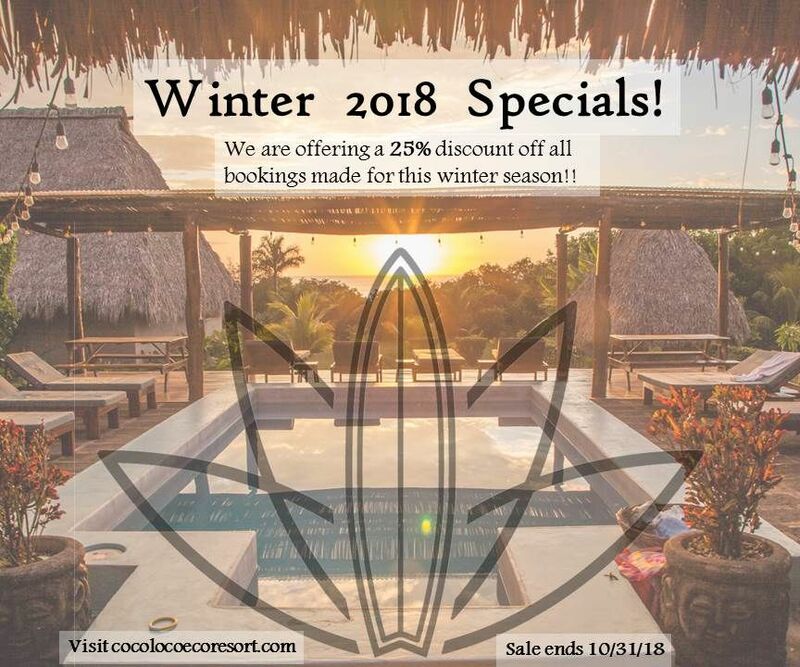 Through your stay at Coco Loco you can ensure your money is being re-invested back into our local community.